This antenna attaches to the APX radio directly and is only used when the radio is operating in a single band configuration of UHF or 700/800 MHz. 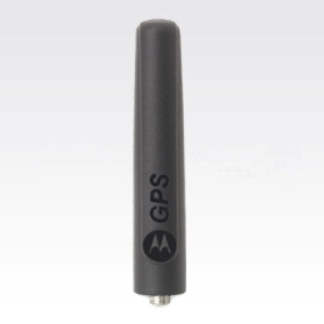 This antenna only provides GPS reception and cannot be used for RF transmissions at UHF, VHF or 700/800 MHz. This antenna should never be attached to the public safety microphone.